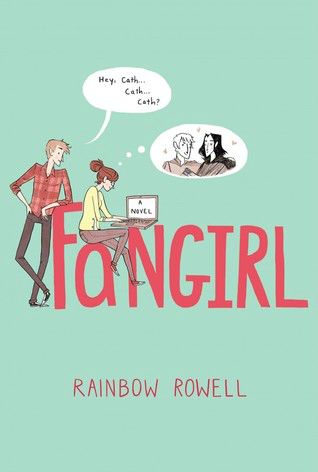 Fangirl is a book that came into my life at just the right time. It's full of so much love, friendship, family, and how hard it truly can be to grow up. I can't express how much I love this book in one simple review, but I'll try! "In new situations, all the trickiest rules are the ones nobody bothers to explain to you. (And the ones you can't Google.)" This story was refreshingly real. I've read a lot of books that deal with being an outcast or feeling anxiety over new situations, but somehow this book shed light on the real feelings of going through huge changes in our lives. Our main character, Cath, didn't magically become friends with the popular crowd, there was no instalove with the hottest guy at school, or all the other things that happen in a usual contemporary read. This story was relatable because everything the characters go through, especially Cath, were things that could easily happen to any one of us. "Just... isn't giving up allowed sometimes? Isn't it okay to say, 'This really hurts, so I'm going to stop trying'?" "It sets a dangerous precedent." I loved the characters in this book - every single one of them! Cath is one of the most relatable characters that I've ever read. Everything that she goes through in the beginning of the book is so true to anyone who hates changes, and who's just really scared to grow up. All of the supporting characters were just as great, especially Cath's twin sister Wren. Their relationship was so interesting and incredibly honest, even if you don't have a twin or a sibling, because as we grow up there are moments where we can feel lost by being left being from our friends that we've always loved. I found all the relationships that Cath had to be intriguing, and I enjoyed reading the development between each one. "I don't trust anybody. Not anybody. And the more that I care about someone, the more sure I am they're going to get tired of me and take off." The romance was just like the rest of the story - it felt like it could actually happen to anybody. It was sweet and adorable! Honestly Cath and Levi's relationship is one of my favorites now - I enjoyed reading all of their sweet moments from the first time they met to their first official date.. and how cute is it that he loved her fanfiction? So cute! "It's just... everything. There are too many people. And I don't fit in. I don't know how to be. Nothing that I'm good at is the sort of thing that matters there. Being smart doesn't matter-and being good with words. And when those things do matter, it's only because people want something from me. Not because they want me." This was the first book that I've read by Rainbow Rowell, and I know that it won't be my last. The message behind this book was amazing, and Rowell wrote in such a beautiful way to truly get it across to her readers. 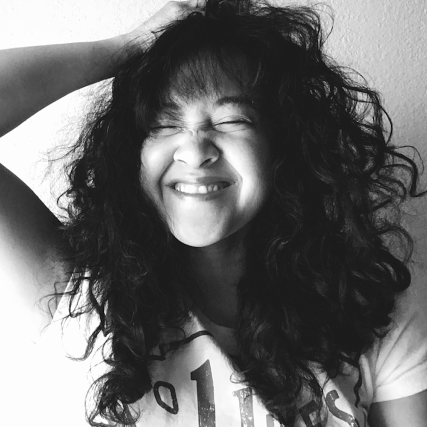 She developed these incredibly flawed characters inside a very real world in such a magical way. All of their struggles with growing up and moving on is something that we all face, and I loved how by the end of the book you are left feeling inspired on how letting things go and moving on are only beneficial to being who you truly are. Overall, I loved this book. It's one of my favorite books, ever! It was refreshing to read such a unique story full of lots of love. The elements of Cath being a fan girl only made this book that much more special, and you'll love it! I would recommend this book to everyone who enjoys coming-of-age stories and contemporary reads because I guarantee that you will love it!